I love the Gold Coast. I’m not ashamed to admit it. Even in spite of its long suffering reputation for glitzy excess. To put it in perspective, the Gold Coast is to Australia what Miami is to the USA. And while some of the flashy clichés ring true, dig a little deeper or simply drive away from the city’s main beach, Surfer’s Paradise, and you’ll find all of the recipes that make an Aussie beach holiday great. Just an hour drive from Brisbane, the Gold Coast is where a lot of Australians spend their holidays – myself included. For much of my childhood I was at the Gold Coast learning to swim with the help of the local surf clubs, and gaining freckles that would stay with me into adulthood. Despite having spent many a holiday at the beach, I had never actually set foot on a surfboard until my recent visit. 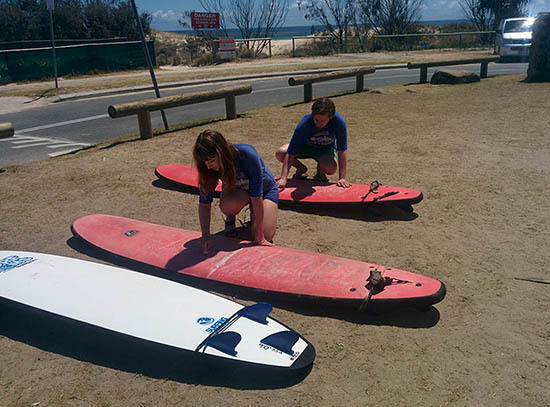 As a complete novice, I opted for a private lesson with my family at Currumbin Beach. Surf lesson vans are parked at every major beach spot along the Gold Coast and offer group and private lessons for varying levels. I assured our surf teacher Beau (the most Australian man I think I’ve ever met), that we were absolute beginners and then as predicted, proceeded to laugh my way through the entire lesson. Both at myself and my 57 year old mother, who screamed with every wave she caught. In the end I did manage to stand up on the board, and avoided banging into anyone, apart from my brother (doesn’t count), which I think is an even better feat. Once again, parasailing is a popular and easily found activity on the Gold Coast that I had never actually taken part in until my most recent trip. 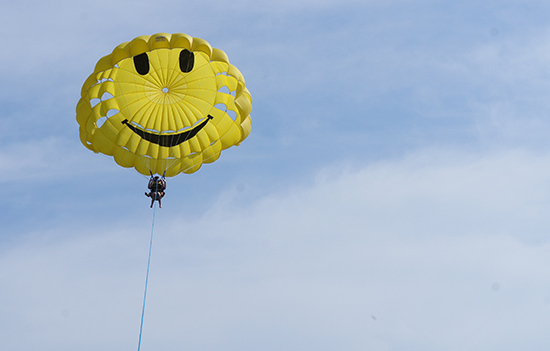 We drove to The Spit - where most water sports can be found - on a complete whim and 15 minutes later I found myself metres high in the air with a giant smiley face strapped to my shoulders. While I’m not usually afraid of heights, I will admit to nervously laughing throughout the entire experience, much to my partner’s amusement. Learn from my mistakes: a windy day is not the best time to fly in the sky. I highly recommend parasailing in calmer weather, unless you actually want a bumpy ride. Nervousness aside, it is a fantastic way to gain a literal bird’s eye view of the Gold Coast. I mean... it doesn't get much better. 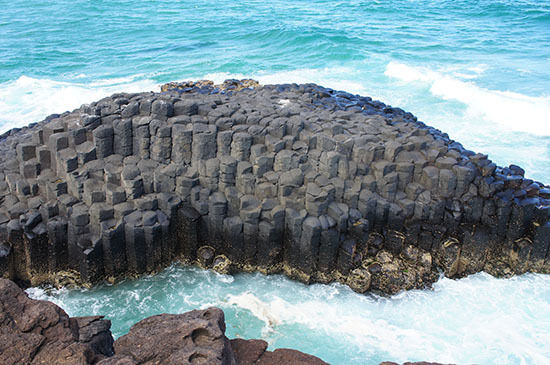 The Gold Coast isn’t all about the beaches. The rainforest hinterland is well worth exploring as well. 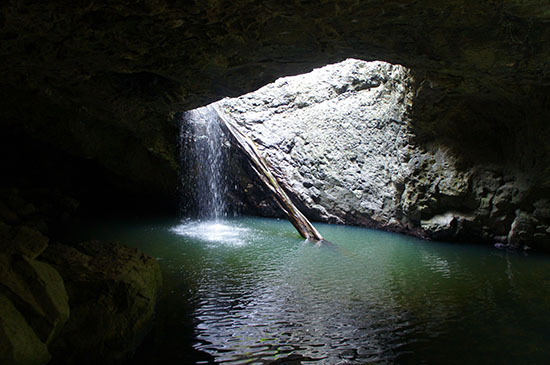 One of my favourite spots is the Natural Bridge within Springbrook National Park. Easily found and with paved pathways too it, the Natural Bridge is an incredible cave formation that has been created by water tumbling through it for millions of years. Nearby there are also a number of fresh water rockpools that you can swim in. 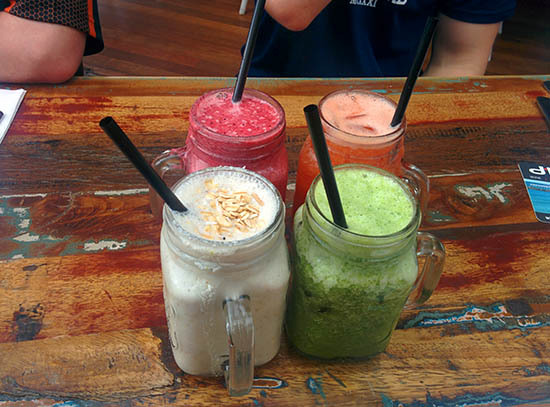 Away from the greasy breakfasts of Surfers Paradise, the Gold Coast is enjoying a gourmet injection by the way of healthy, organic, #cleaneating cafes. Coffee here, as locals will claim, is as good as you’ll find in Melbourne, and even some of the local surf clubs are starting to put a sophisticated flair on their fish and chips. My favourite recommendation though is Cafe Dbar, located near the popular Point Lookout spot at Duranbah. Go for the breakfast smoothies, stay for the view, annoy your family by taking an Instagram photo. Experience the Gold Coast with our flights to Brisbane, and ask your expert about our deals on car hire.